Do you know that 91% of all Cyber-attacks start with an email? It’s not surprising considering that email has become the primary tool for business communications worldwide for businesses of all sizes. 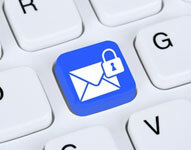 Email threats have evolved from mass spam and phishing email campaigns to highly-targeted phishing attacks that can deliver ransomware and zero-day malware. It is also important to know that this new wave of sophisticated phishing attacks cannot be stopped by the traditional anti-spam and anti-malware solutions. And what’s more, the government regulations now hold your business accountable for protecting confidential data, ensuring it is not leaked and ensuring the secure exchange of email containing sensitive customer data or confidential information. your employees and your suppliers? Your business should have a layered security solution that goes beyond anti-spam and anti-malware. This solution should include dedicated, advanced-threat protection capabilities, and protect against malicious attachments and URLs, as well as impostor-based attacks. SonicWall Hosted Email Security offers superior, cloud-based protection from inbound and outbound threats, including ransomware, phishing, business email compromise (BEC), spoofing, spam and viruses. SonicWall Hosted Email Security with optional Capture Advance Threat Protection service available, it dynamically scans all suspicious email attachments and URLs, analyses them in a multi-engine sandbox, and blocks dangerous files or URLs before they reach your network. SonicWall has been fighting the cyber-criminal industry for over 25 years, defending small, medium size businesses and enterprises worldwide. Their combination of products has enabled a real-time cyber defence solution tuned to the specific needs of the more than 500,000 businesses in over 150 countries, so you can do more business with less fear. The changing IT environment can be complicated and a mind field of products. For a proven best of breed industry standard and proven product range for managing these threats, contact our sales team today.